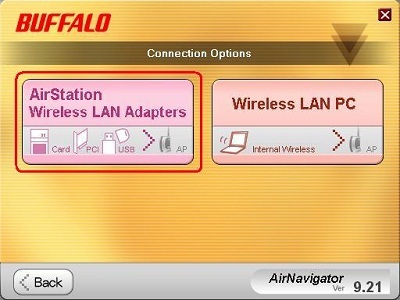 How to: Install wireless LAN adapter using AirNavigator CD. 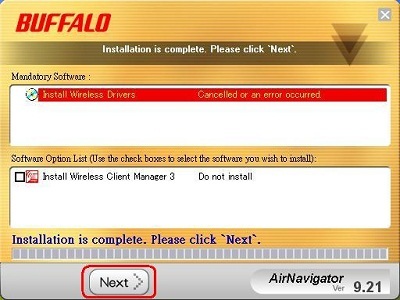 - Details of an answer | Buffalo Inc.
How to: Install wireless LAN adapter using AirNavigator CD. 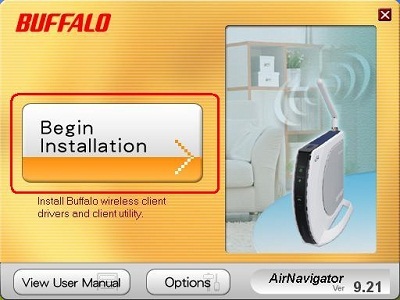 1- Turn OFF PC and install the WLAN adapter . A. 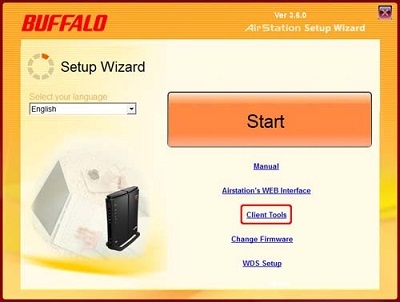 Windows OS “ Found New Hardware Wizard” dialog will pop up . 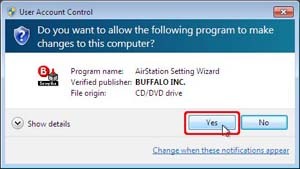 click Cancel to dismiss. 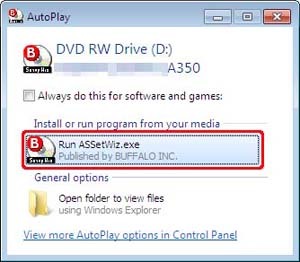 B. Insert Buffalo CD AirNavigator. 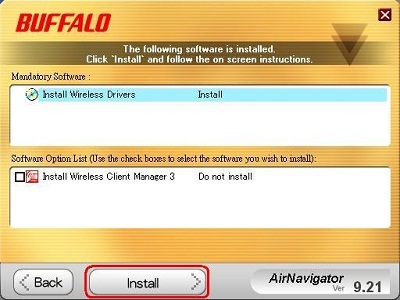 7- Driver installer is launched. Click next to proceed. 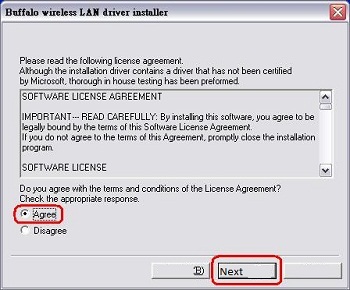 8- Select Agree option and click next. 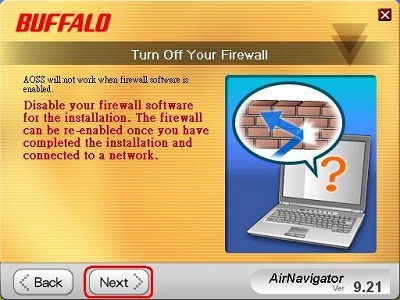 9- You may see OS notification. 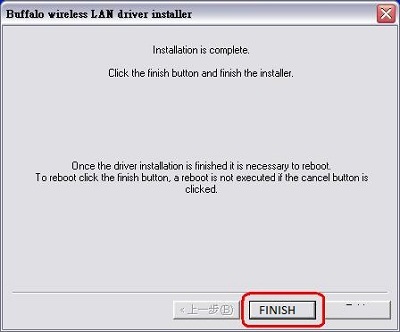 Ignore and click "Continue"
10- Click Finish to re-boot PC and restart. 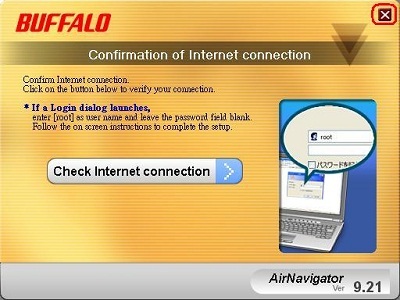 11 - Continue, Click Next. 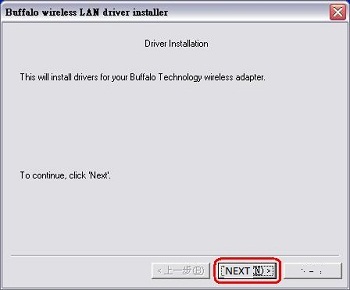 12 - Now driver installed and the dialog can be closed by clicking "X".